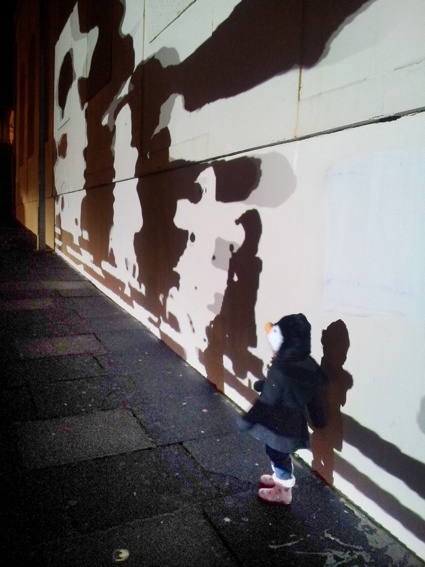 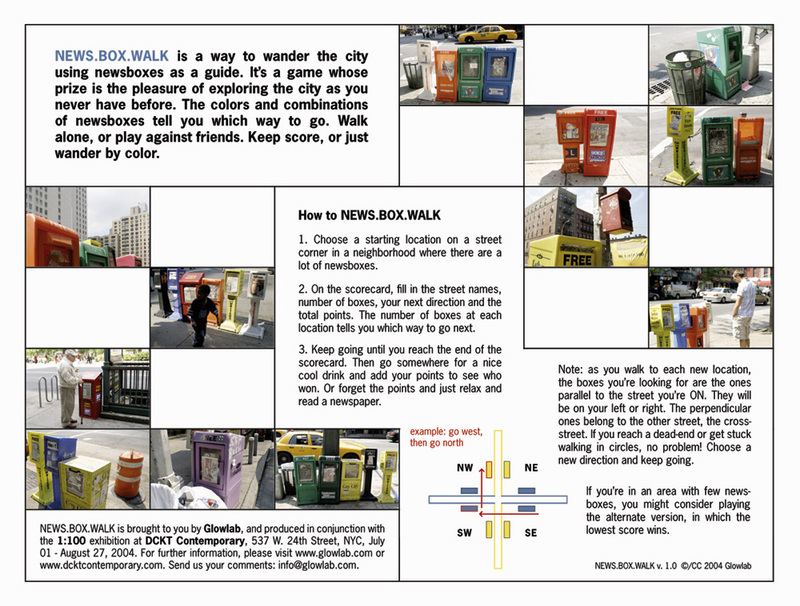 NEWS.BOX.WALK , imagined by Christina Ray, is a way to wander the city using newsboxes as a guide. The choreography telling you which way to go is directed by the colors and combinations of these street-corner fixtures we barely notice. 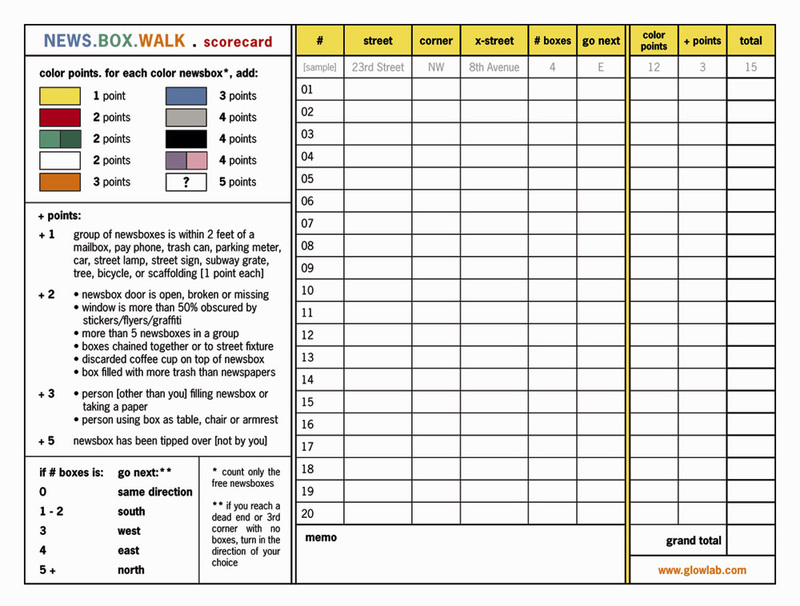 It’s also a game you can play against friends; participants receive an instruction card but also a scorecard. 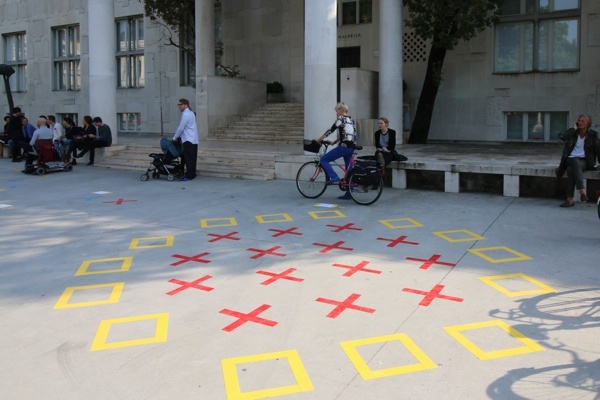 For example, they can get 2 points if they cross more than 5 news boxes together in a group, 3 if someone is using the newsbox as a chair, table or armrest, etc. 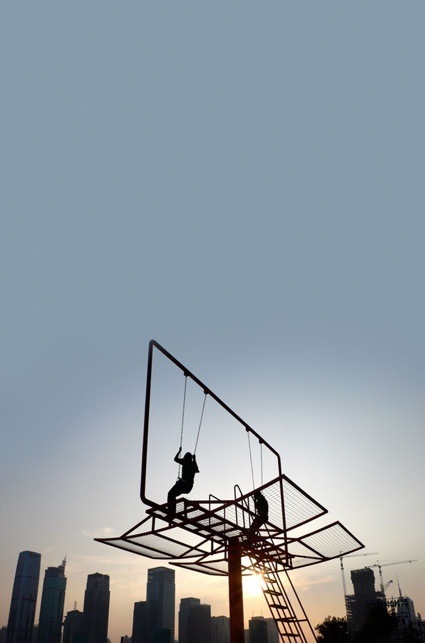 On Friday, August 27, meet Glowlab in Union Square Park, NYC, for their first News.Box.Walk (south end of the park under the George Washington statue) at 7pm.